Review the Principles of Peace not just during Easter, but all year long. Here’s a simple origami game that will help you pick and choose a principle throughout the year to study. 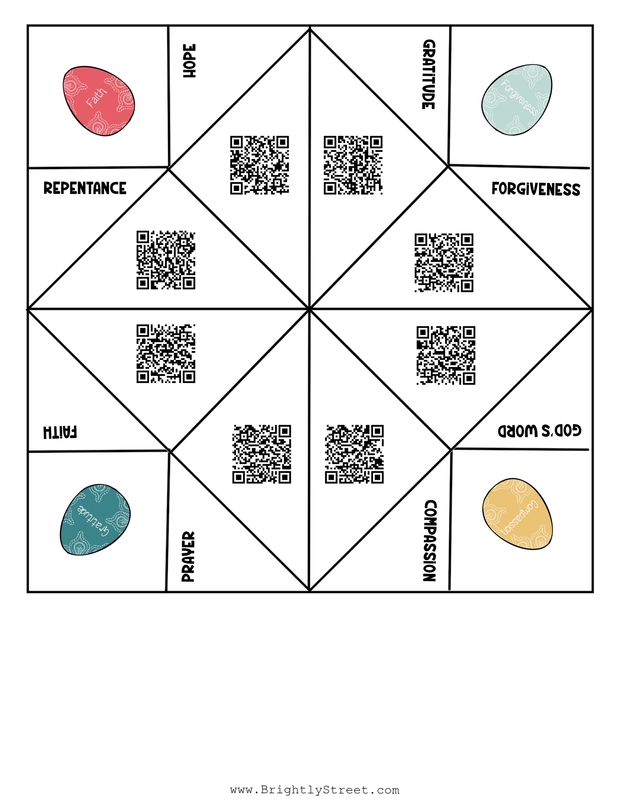 Use ScanLife App to scan the QR code and go to the videos, scriptures, music and more. ← #PRINCEofPEACE He is Risen!